Sunday School is held every Sunday morning from 9:00 – 10:00 AM for all ages. Children’s Church is for ages 4 years old through 2nd grade. 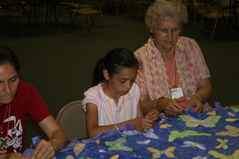 There are special activities geared for children during the worship service on Sunday morning. 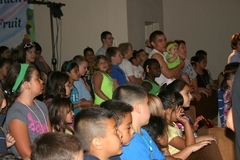 Vacation Bible School is generally held each evening for one week in the early summer for ages 4 years old through 8th grade. 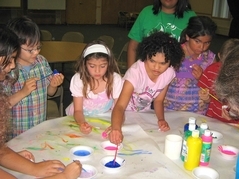 Activities include Bible stories, Bible memory, arts & crafts, group activities, singing, drama, and fun. Venture Club happens on Wednesday evenings during the school year for ages of 4 years old through 5th grade. 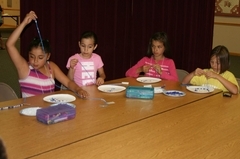 Bible-based activities include arts & crafts, games, Bible memory, and fun. Junior Youth is for 6th, 7th, and 8th graders. They meet on Wednesday evenings during the school year. Activities include Bible study, discussion, games, fun, service projects, and fellowship. Mennonite Youth Fellowship is held on Wednesday evenings during the school year for youth in High School. Activities include Bible study, discussion, games, fun, service projects, and fellowship. Mentors are adults paired up with youth in Junior High or High School age to walk along with and be another guide to the youth in their spiritual journey.